Specific precautions must be taken to ensure the safety of patients, workers, staff and residents and when completing construction and maintenance work in health care facilities. The reduced health status and weakened immune system of health care patients makes them particularly susceptible to nosocomial (hospital-acquired) infections. LEX has decades of experience working with health care facilities and a strong understanding of the risk factors associated with construction, renovation and maintenance activities in health care facilities. 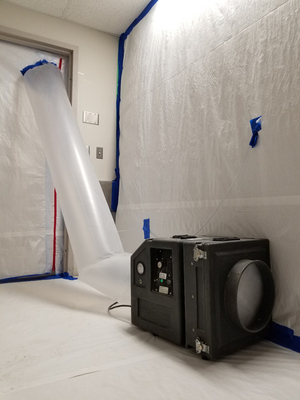 Our knowledgeable and highly trained staff follow industry standard infection control protocols to develop appropriate specifications and recommendations to minimize the risk of spreading nosocomial infections during construction work. LEX can offer other specialty services to suit project needs. Please Contact Us for more details. © Copyright 2019 LEX Scientific Inc. All Rights Reserved. Web Design and Content Management by REM Web Solutions.